Republic took a cross-country road trip to find free WiFi. Follow along with us by subscribing to our blog! The aliens have landed! And they brought back the McRib. Aliens are among us, folks! Ok, maybe not like right here among us. But you just gotta believe while you’re in infamous Roswell, New Mexico – better known as the quaint desert town adjacent to the not-so-secret top secret military base: Area 51. Even the McDonald’s looks like a UFO! We woke up today and there was hardly ANY cell service in the Best Western where we stayed. There was plenty of free WiFi though, so I had crystal clear phone service regardless. I even decided to take a screenshot of my WiFi fortune. Awwww yeahhhh. Look at that WiFi! We stopped for breakfast at Alicia’s Restaurant. The server was absolutely delightful and kept giggling that we must be tourists. We asked why and she said, “You don’t look like New Mexicans.” “Well, what do New Mexicans look like?” we asked. “Short,” she chuckled. It then became immediately obvious how much taller we were than anyone else in the restaurant. I wonder if they thought WE were the aliens?! Now, when you’re in Roswell, you just have to go to the UFO History Museum. As I walked in, my phone lit up and let me know there was free WiFi throughout the building. We looked around for a bit, read some articles about Area 51, saw some “wreckage,” and watched a film starring Kyle Maclachlan (naturally). 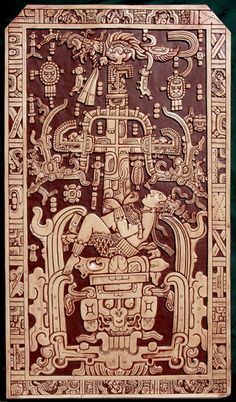 But perhaps the most interesting exhibit was a huge carved wooden piece that depicts the “earliest astronaut” – a Mayan inside of a spaceship, complete with breathing apparatus and food. Whether you believe in aliens or not, whether you’re more Agent Mulder or more Agent Scully, the UFO History Museum is worth a visit. Where else would you get to meet these guys? From there, we piled into the car once more and headed for Arizona. Full 3G cellular coverage was admittedly spotty in some of the more remote New Mexico regions, but was excellent as soon as we hit Arizona. I had roaming signal as backup if I needed it. But we kicked back and enjoyed the scenic drive all the way to the Grand Canyon! Race ya to the Grand Canyon! Choo choo! Tune in tomorrow for some of the best photos I’ve ever taken on my Moto X. Subscribe to our blog over in the box to your right. Or, catch up on previous days here.